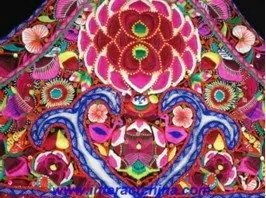 March Fair is the grandest festival of the year for the Bai ethnics. 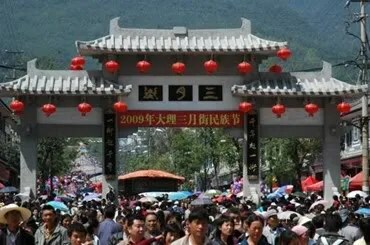 Held from the 15th day to the 21st day of the third lunar month every year at the foot of the Mount Cangshan, west to the ancient city of Dali, the Bai hold the festival mainly for harvest. There are two legends about the festival. One legend goes like this. 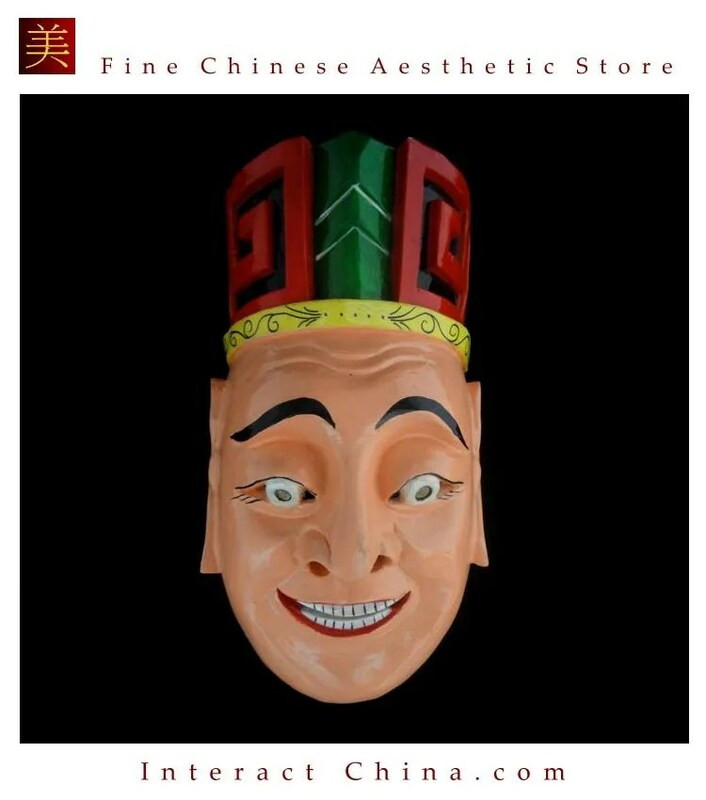 At the beginning of the Tang Dynasty (618 -907 AD), the devil called Luocha occupied the territory of today’s Dali and persecuted the people. During the zhenguan Period (627-649 AD), Bodhisattva from the today’s India subdued the devil and save people from the suffer. Ever since, people would gather at the ancient town, offering vegetables to Bodhisattva. 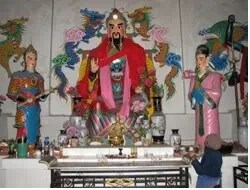 The other legend has it that back in the period of Nanzhao State (938-1253 AD), the Bodhisattva came to Dali to speak on Buddhism on the 15th of the third lunar month, and then the Daili became a place for loyal believers to pay homage. 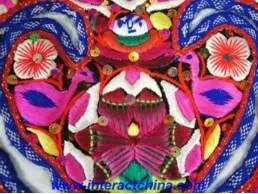 As time went, for Dali’s strategic location, the city became a prosperous trade market in the region and a grand festival for the local people. Currently there is no reliable record of the start of March Fair. But these two local legends offer an interesting explanation. Even though the two legends fail to give reasonable and convincing reasons on the history of the occasion, they at least show the fair was related to religion at its first stage. 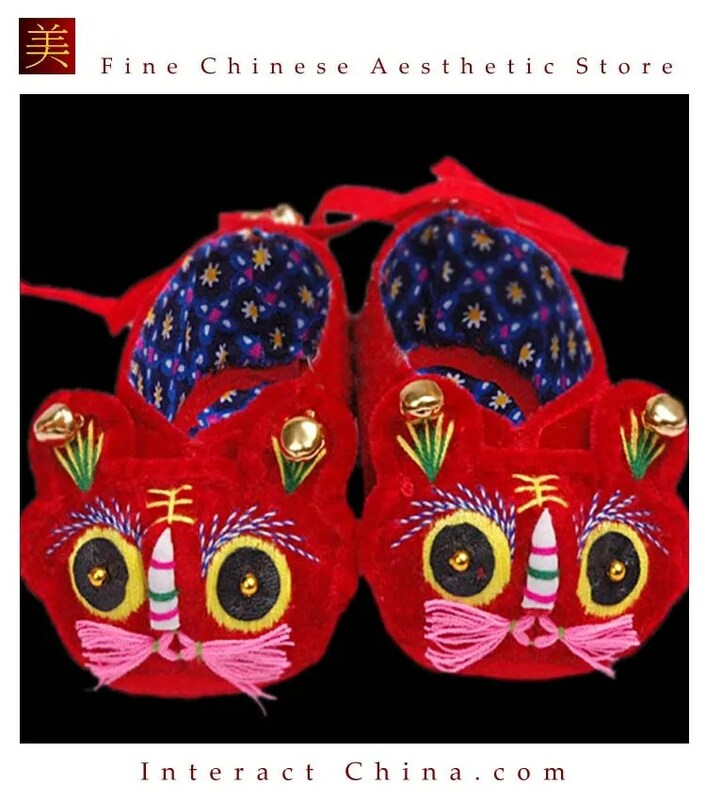 Nowadays March Fair has become a prosperous commercial fair with tens of thousands of participants and a total volume of trade of over ten millions each year. During the March Fair, the streets at Dali town are competing with stalls selling a variety of items. March Fair is also a commodity and cultural fair. 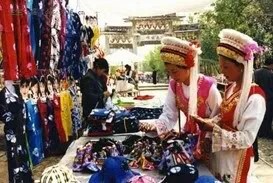 Besides the Bai ethnic people, other minority groups such as the Yi, Tibetan, Naxi, Nu, Hui in that region will all throng to the fair that day and horse race and other traditional folk activities are held. People gather there to enjoy dances, horse racing and other activities. 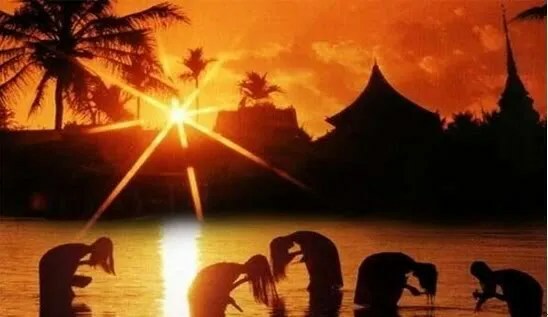 It is now an official festival of the Dali Bai Autonomous Prefecture. 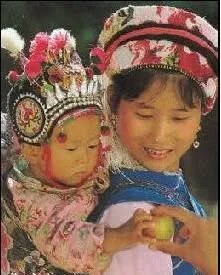 The religious beliefs of Bai ethnic people are complex and varied. 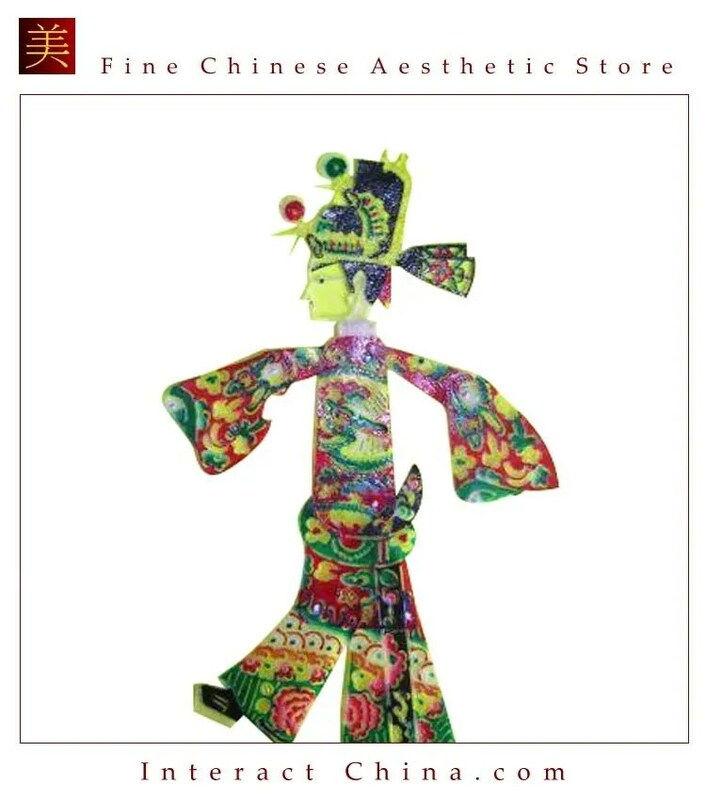 Some people believe in Daoism, but most people believe in Buddhism and Benzhu, local Gods. 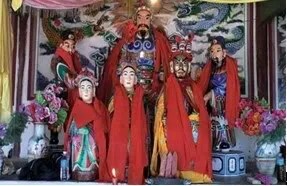 It is very common to find Buddhist, Daoist and Benzhu shrines coexist in temples of Bai villages. 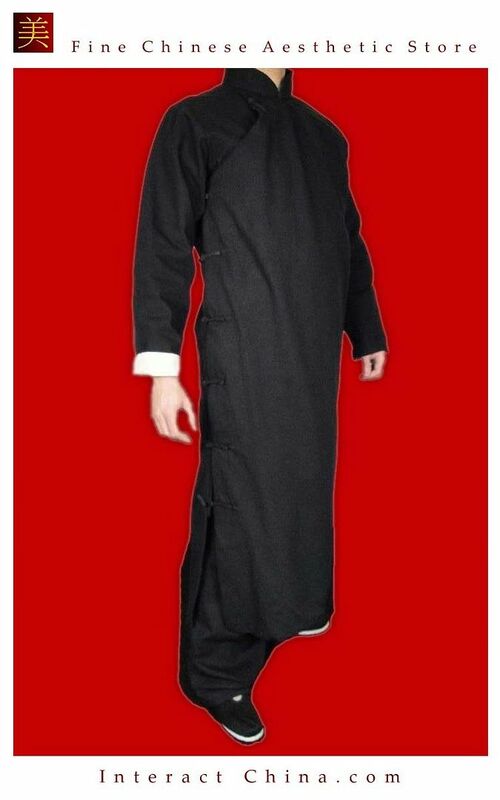 Bai people believed in Buddhism since the 7th century. 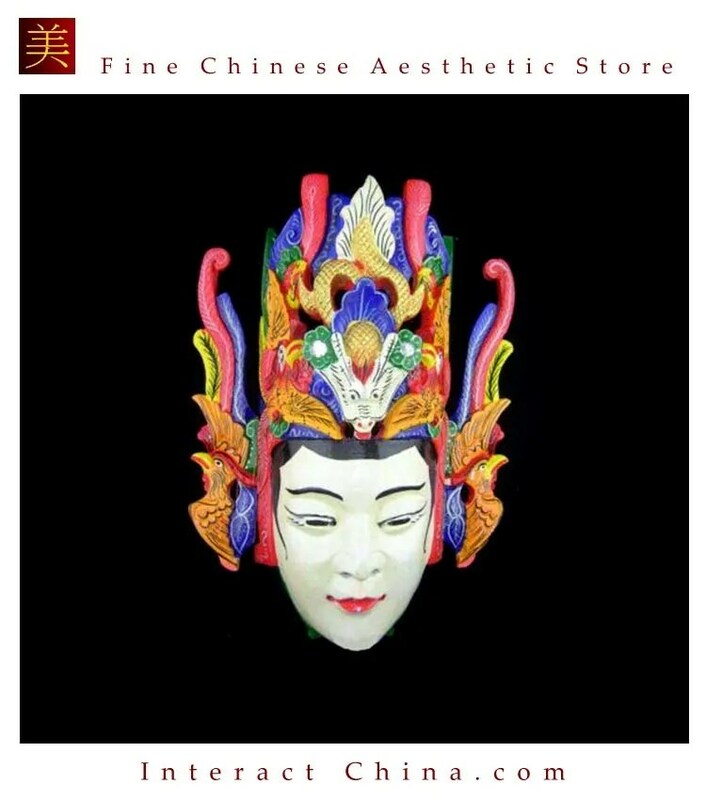 In fact, Guanyin, the Buddhist bodhisattva of mercy, plays an important role in the oldest myths of the Bai. 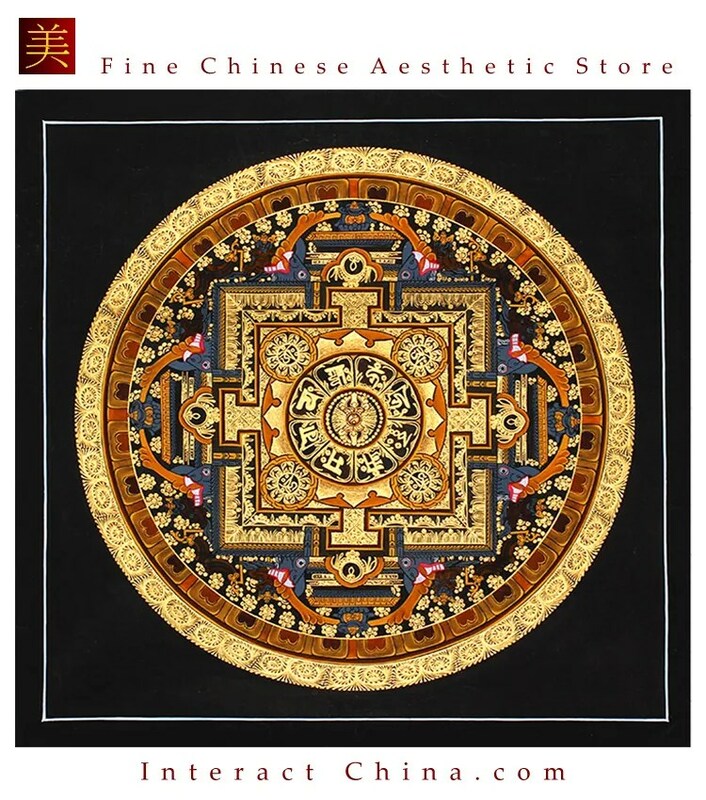 The Bai embrace Buddhist beliefs about the afterlife and reincarnation and believe that honored ancestors protect the living and drive malevolent spirits and ghosts away. In ancient times, the Bai cremated their dead. 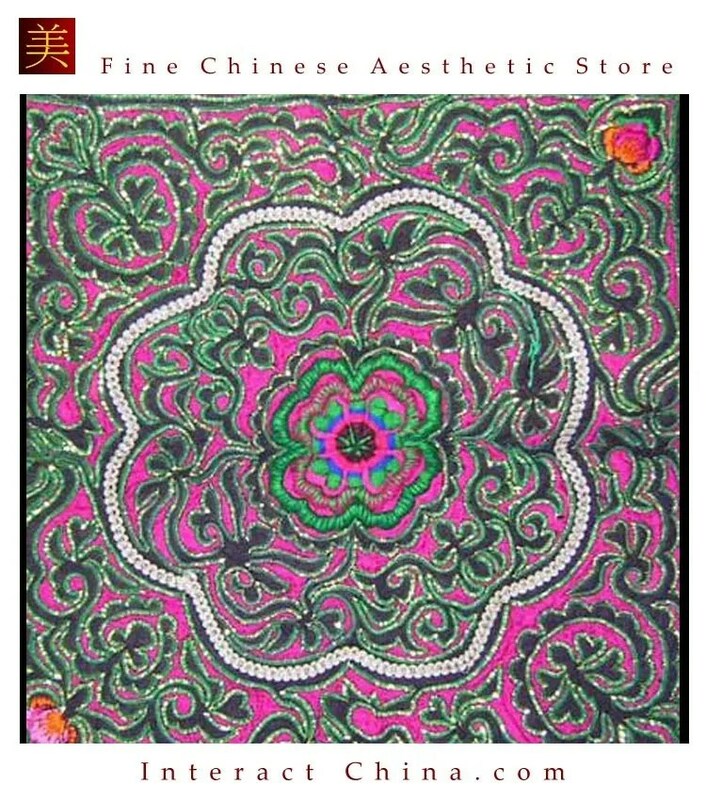 Under Chinese influence they began burying the dead, sometimes in elaborate tombs. In modern time, cremation was encouraged to save land. In the more remote places there are still vestiges of Bai primitive animism. 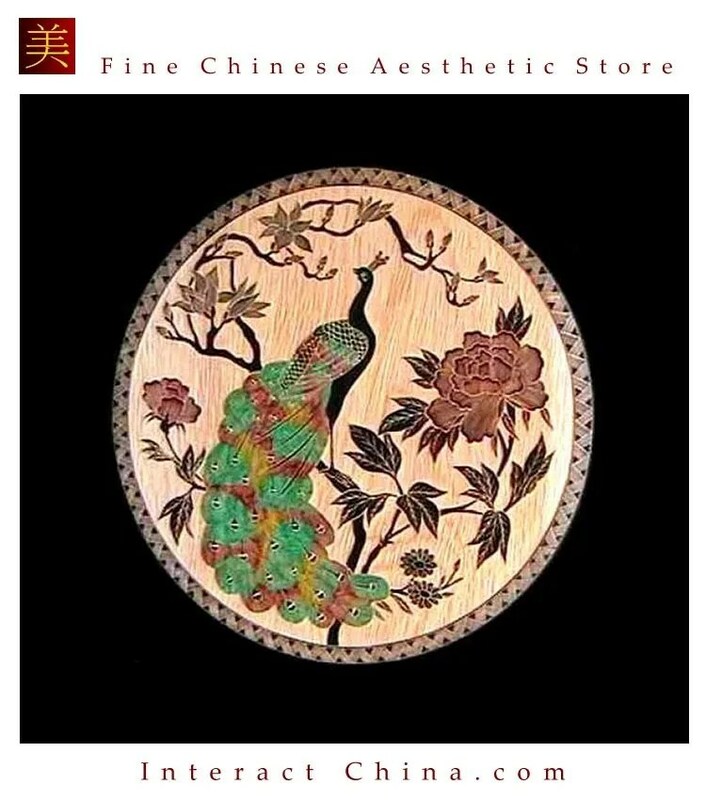 It is not difficult to find places where different gods are honored, such as the God of the Mountain, the God of the Crops, the God of the Hunt, the Dragon King or the Mother Goddess of the Dragon King. The Bai believe that spirits can cause illness, but can also protect them. They believe that illnesses are caused by the possession of evil spirits and can be treated by shaman who has the power to enter into trance. The Benzhu religion is unique to the Bai people. 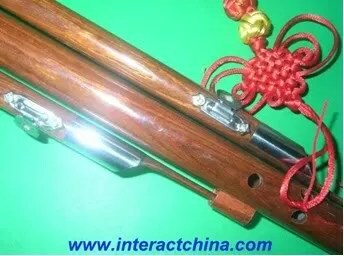 It plays an important role in Bai people’s life. 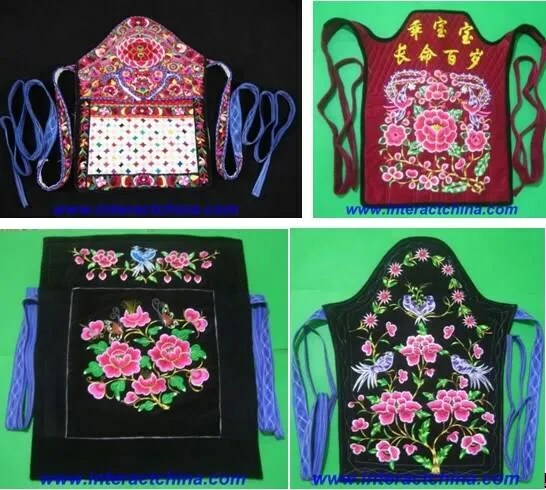 Benzhu religion believes in gods of natural spirit, totem, historical and legendary figures and ancestors as Bai people believe these figures or natural spirits can protect their life. Each village, which has seen an increasing and fluid pantheon of Gods throughout its existence, has incorporated its own history and legends in deifying former village leaders, warriors, and heroes. These deities, tied to the immediate surroundings, protect the people against sickness and violence, foster the local crops and livestock, and ensure prosperity. 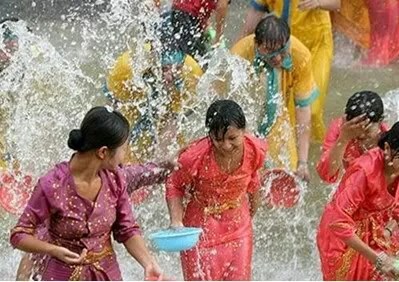 They become a personal and omniscient god, lending solidarity to each village’s life. 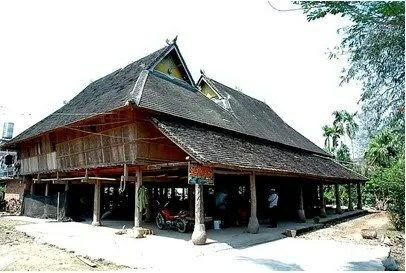 Benzhu is considered as the guardian of village. Generally speaking one village consecrates one Benzhu and there is also the case that several villages consecrated one Benzhu. 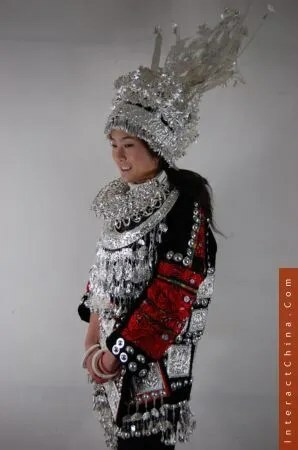 In every village around Erhai Lake the Bai people have developed a singular mythology around their own Local Lord, a mythology completely different from that of neighboring villages. 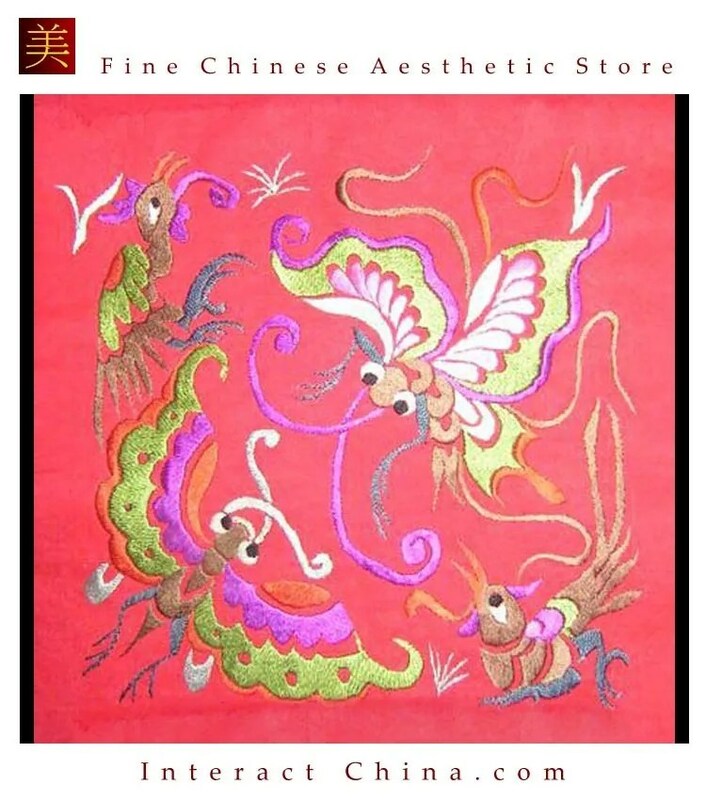 Benzhu Festivals in Dali corresponds to the lunar calendar and are after Chinese New Year. 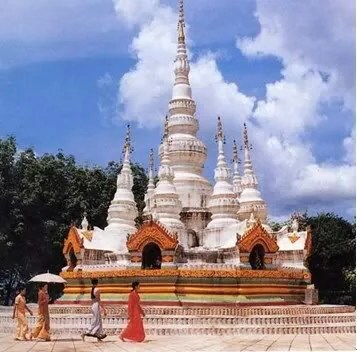 During such festivals, the Benzhu shrine are taken from the temple and carried through town to a different location where they will stay for a designated number of days. The villagers will follow the gods to the designated spot burning incense and worshiping with food and money. 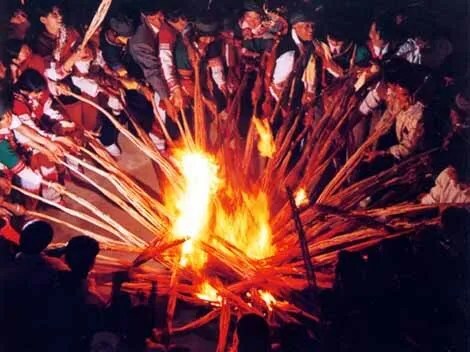 The Torch Festival is a traditional festival celebrated among some ethnic groups in southwestern China, such as the Yi, Bai, Hani, Lisu, Naxi, Pumi and Lahu etc. The festival features lighting up torches, hence its name. 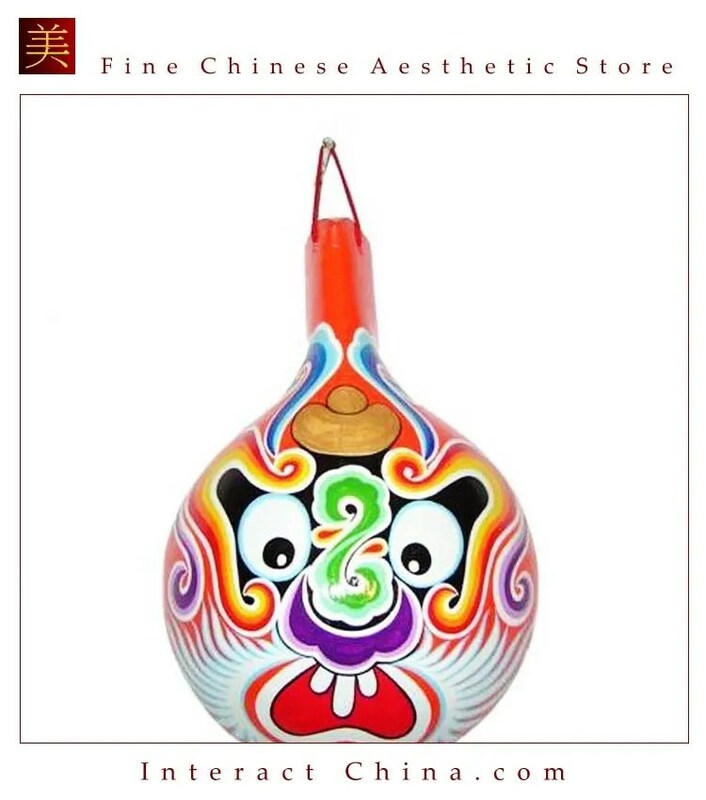 It usually falls in early June of the lunar calendar or on the 24th or 25th of the month, with three days of celebrations. 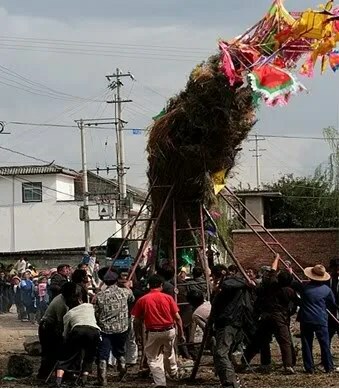 The origin of the festival may have something to do with the worship of fire by ancestors, who believed fire had the power to repel insects, drive away evils and to protect crop growth. 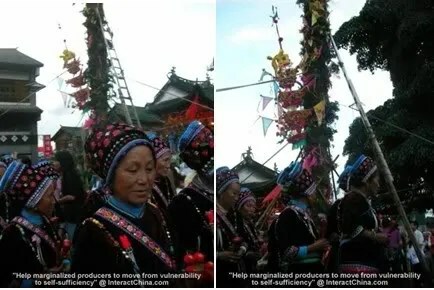 For some ethnic groups, it is a tradition in the festival for elders to share farming experience with young people and educate them on taking care of crops. 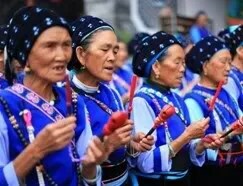 The Bai celebrate the annual Torch Festival on the 25th of the sixth month of the Chinese lunar calendar in a special way. They wear costumes and butcher pigs and sheep for a feast. Children dye their fingernails red with a kind of flower root. On the eve of the festival, people get everything ready for the big celebration. 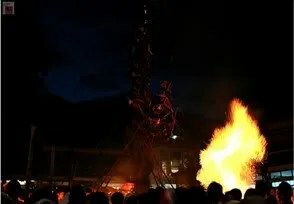 They set up a large torch about 20 meters high made of stalks and pine branches. On the top of the torch sits a large flag. 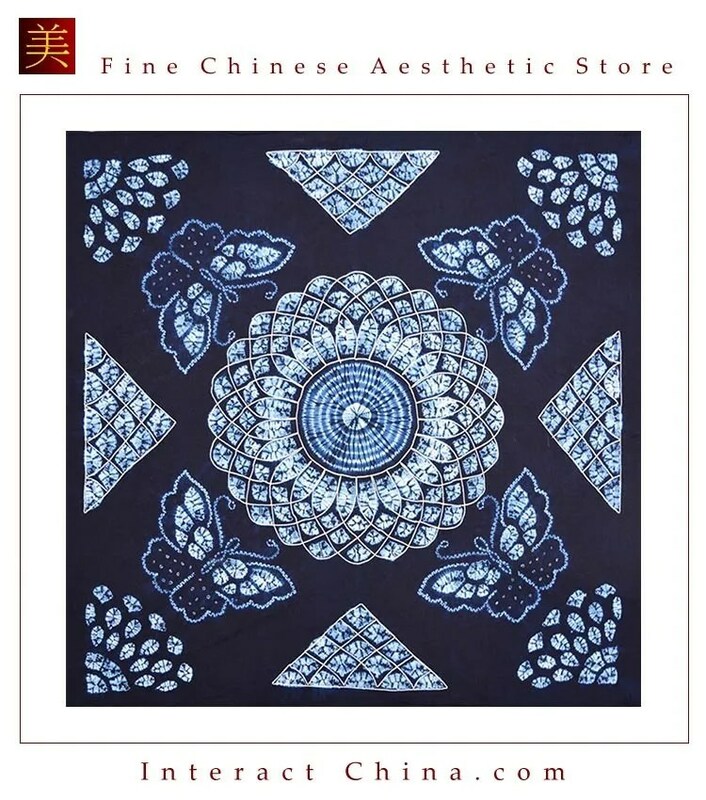 Several small flags are fixed around the torch, printed with auspicious Chinese characters meaning peaceful land, favorable weather, bumper harvest, and abundant farm animals. Fruits, fireworks, and lanterns are hung around the torch. 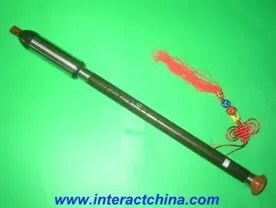 The next day, people first go to their ancestors’ tombs and hold a memorial ceremony, bringing offerings and burning small torches and papers that symbolize money. People have dinner earlier than usual. Then, after dinner, the young and the old gather at the village square to watch the big torch and go horse riding. Both adults and children take part in the horse riding. Before they ride away, they go around the torch three times. Those who don’t ride the horse go home to enjoy the torches in front of the houses and then select the most beautiful torch of the village. Young mothers carry babies on their back and walk around the village torch three times to pray for the health of their babies. 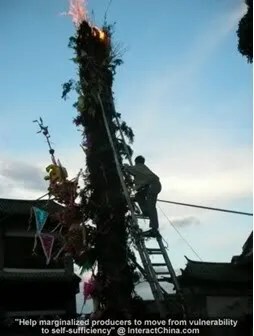 At nightfall, the senior people of the village lead the other villagers to offer sacrifices to the torch and to kowtow. After this is done, several young men climb up the torch and light it. In no time, a flame rages, accompanied by drumbeats and the sound of firecrackers. Such a spectacular scene it is! As the fire continues, broken bamboo sticks fall to the ground and people try their best to catch them. 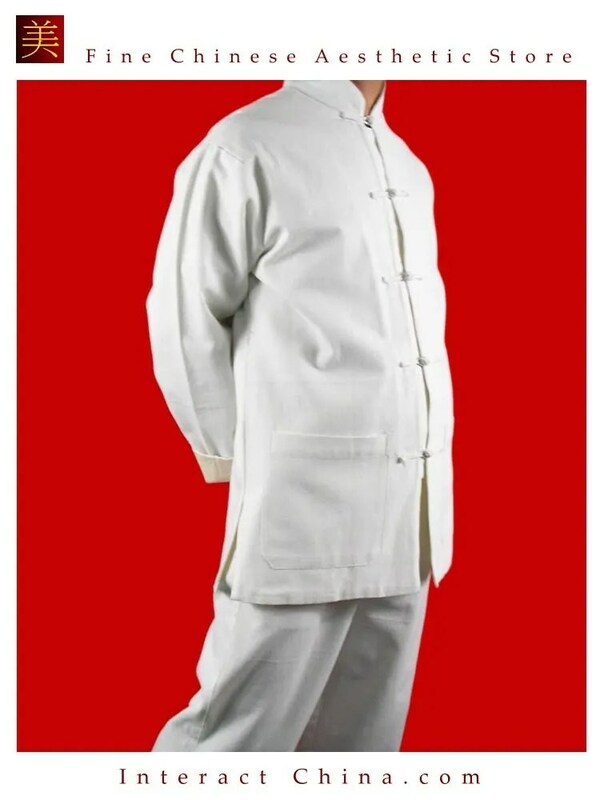 Those who catch the sticks are thought of as lucky and are warmly congratulated. The lucky ones entertain the other villagers at their homes with cigarettes, wine, and tea. The festival reaches its climax with the traditional torch playing. Young men and women hold a torch. When they meet someone, they scatter colophony powder onto the torch fire and the fire flares up. People think this expels whammy from their bodies. Then, young people go to the farms and fields with the torch in the hope of eliminating pests. Near the end of the celebration, people lay torches on the ground and set them on fire. Now it is time for people to jump over the fire three times, one by one. They jump and pray to the god of fire for security and good luck. Finally, they go home filled with excitement and the celebration ends. China is a tea-drinking nation. For the Bai, tea is a popular drink. They normally drink tea twice a day, in the early morning and at noon. The tea drunk in the early morning is called “morning tea” or “wakening tea,” and is consumed immediately after getting up. The tea drunk at noon is called “relaxing tea” or “thirst-satisfying tea.” People often add some popcorn and milk to their tea. 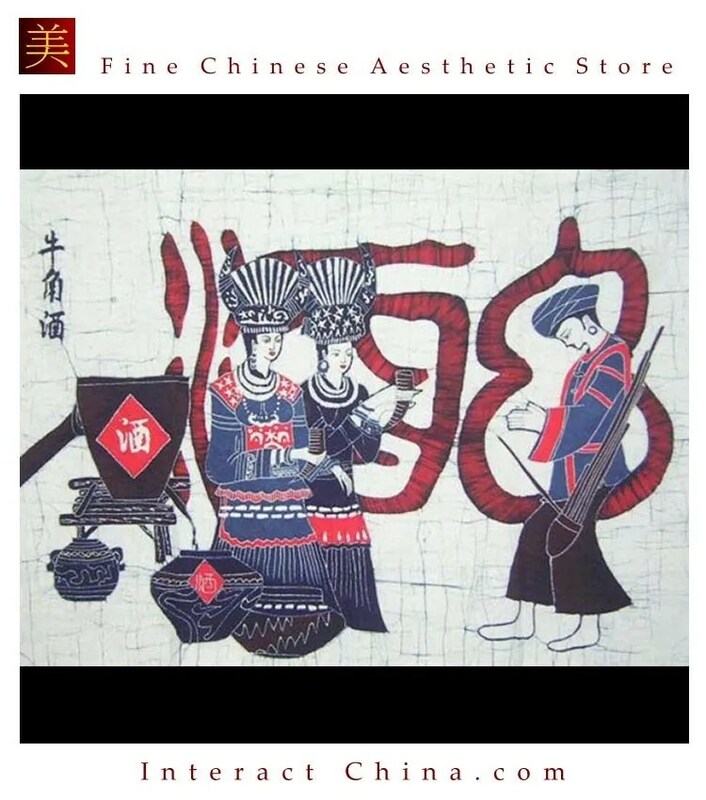 The Bai began to plant tea and make tea long ago, and they have formed their unique tea culture on tea drinking, which is called “Three-course Tea of Bai Ethnic”. 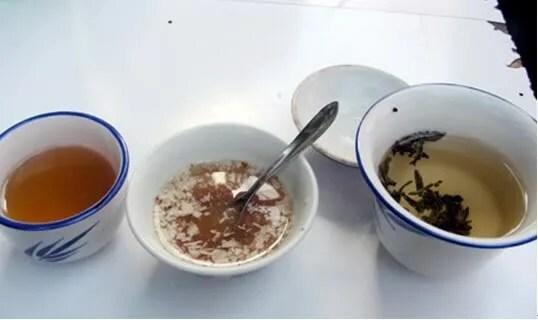 Early in Ming (1368-1644 AD) and Qing (1616-1912 AD) Dynasty, the Three-course Tea had already become a conventional way that Bai ethnic treat visitors. 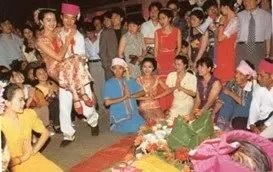 The Three-course Tea is a tea drinking ceremony practiced by the Bai ethnic group on holidays or when treating honored guests. Every course has different taste, implying the philosophy of life that “bitter the first, sweet the second and aftertaste the third.” This ceremony was originally held by the senior members or the most reverent member of a family. 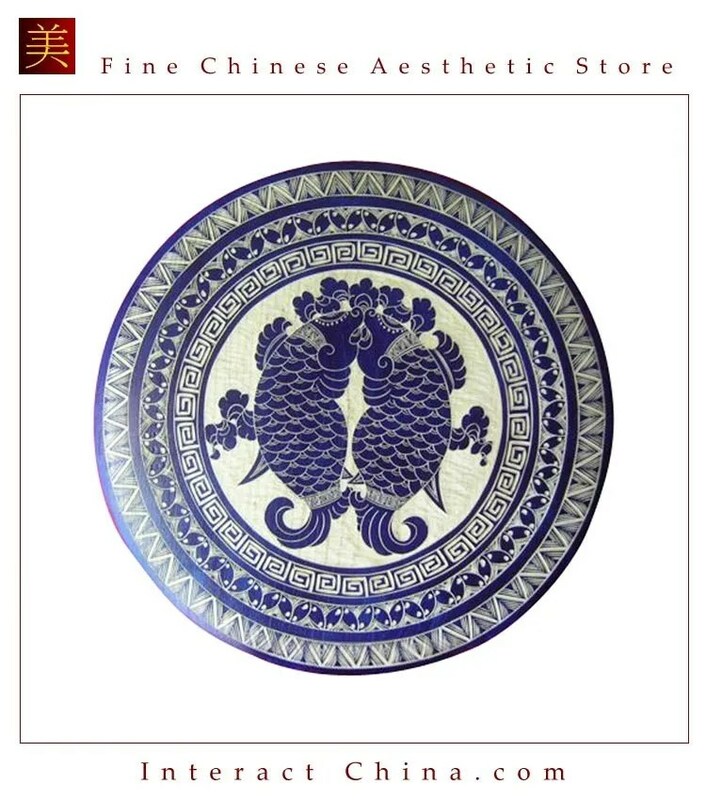 For the first course of tea, the tea needs to be put into a small pottery jar first and roasted on fire until the tealeaves become yellow and give off a charred smell. After added with boiled water, the tea is ready for drink in small cups. It is amber in color with rich fragrance and a bitter taste, meaning that one will suffer a lot before she/he starts his or her career. By adding new water into the jar, boiling and pouring the tea into a bowl with brown sugar and walnuts, the second course of tea is done. 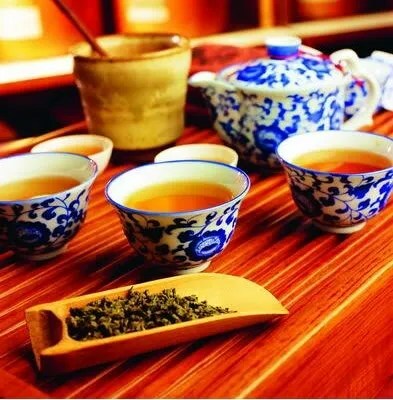 The tea is fragrant and sweet, symbolizing the meaning of “no sweet without sweat”. The third course is made through pouring boiled tea into a bowl with honey and Sichuan pepper. 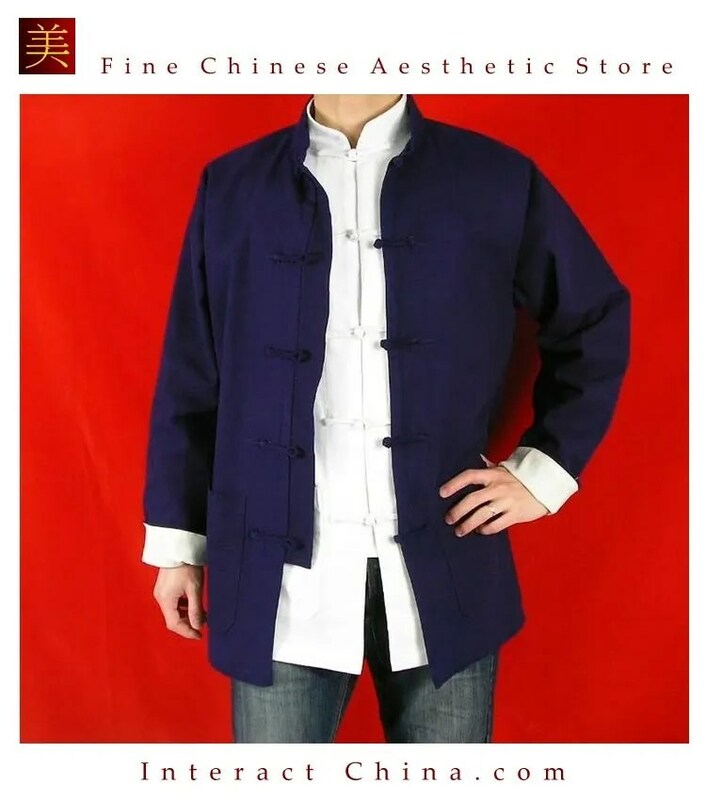 The tea is sweet, bitter and spicy with great aftertaste, which implies that we need to remain a placid frame of mind after having been through all tastes. 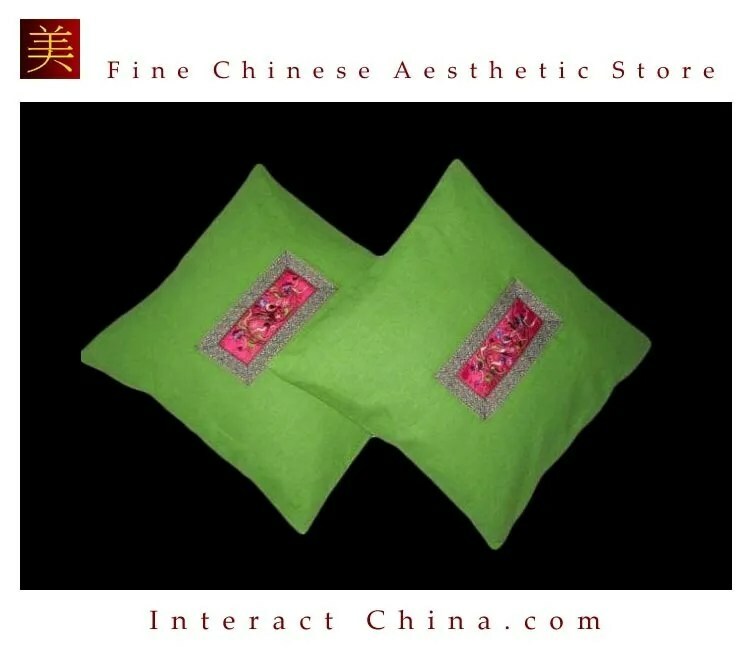 The Three-course Tea of the Bai ethnic minority became a ceremony for treating guests or friends of the people of Bai in as early as the Ming Dynasty, delivering people the profound connotation of treating life and career with an ordinary and placid mindset. 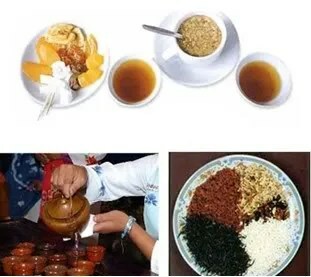 After unearthing and the wide spread publicized by tourists, viewing the process of making the “Three-Course Tea” and tasting the Bai ethnic tea culture is widely loved by the tourists. If you go to Dali, do not forget to taste this unique tea. That is another kind of enjoyment! Monogamous families have been the basic social cells of the Bais, with a very few people who practiced polygamy. Parents live with their unmarried children, but only in big landlord families did four generations live together. Bai children are given a lot of attention when they are young. 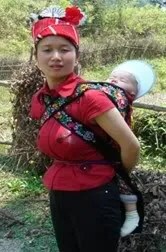 You can see many contented babies in beautiful carriers in Bai Tribe. 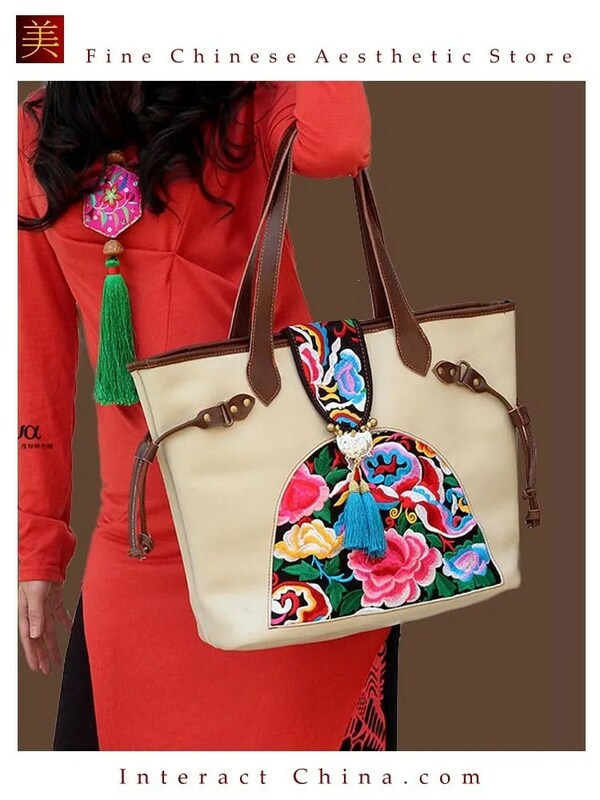 The carriers are padded with a layer of horse hair and quilted felt. The ties are crisscrossed in front and tied around the mother’s waist to secure the baby. Bai women hope for a daughter to help with domestic work. Before she gives birth, a woman’s parents will send “delivery-hastening” food to her, which always includes a boiled egg with a needle in it. When eating the egg, the women will first see whether the needle is pointing up or down. An upward-pointing needle heralds the arrival of a boy, while the converse hints to the birth of a girl. If the first born baby is a girl, she is thought to bring happiness to her parents and the whole family. 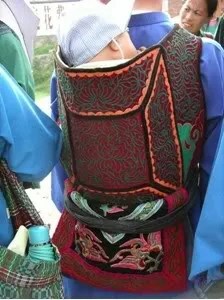 If the first born baby is a girl, she is carried in an embroidered baby carrier called a guobei, which is unique to the Bai nationality. 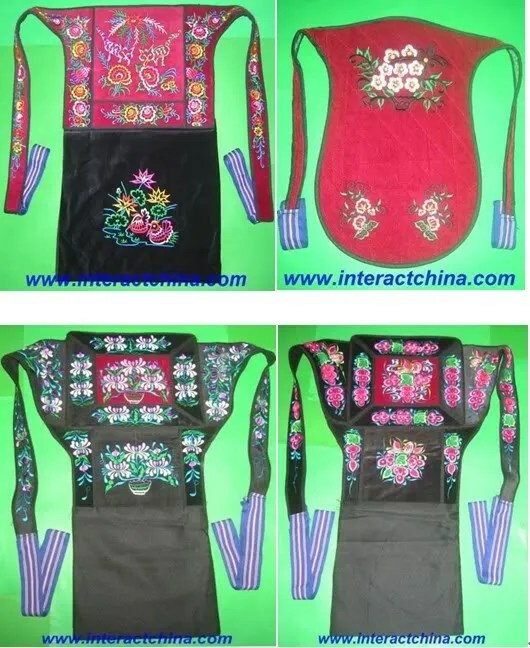 The epaulet of the guobei is usually made of black flannel with embroidered peony flowers in the center and plum blossom and chrysanthemum on both sides, all surrounded by dancing butterflies and a phoenix above and lotus with green leaves, magpies, animals, and flowers at the bottom. 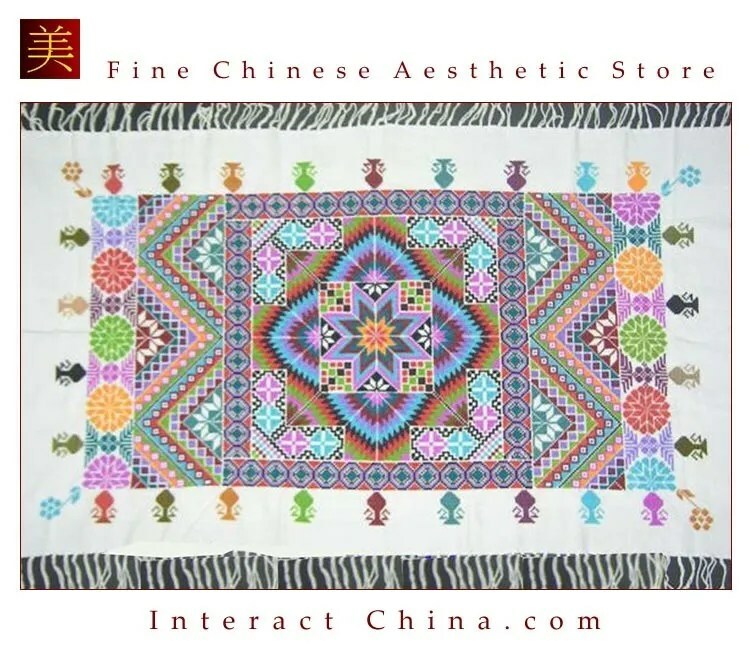 The lower part is usually made of white cloth with patterns of balls pieced together from cloth strips. 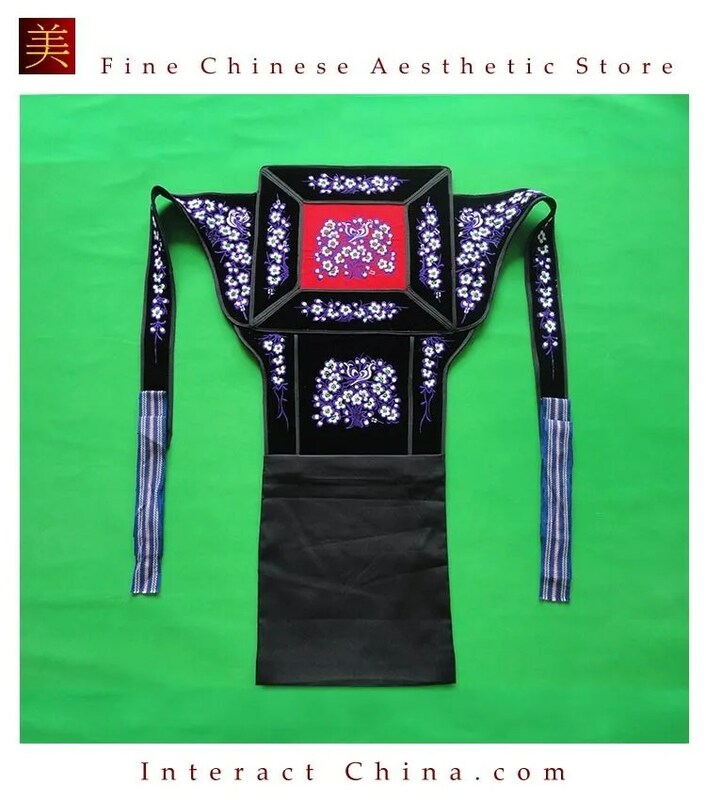 The tie braces are embroidered to match the entire bright color of the guobei. 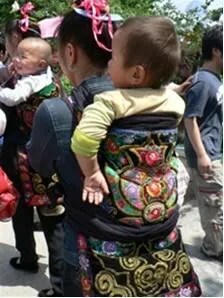 This guobei is said to not only protect the women’s waist and belly, but also make the baby free and comfortable on the adult’s back, where she cannot interrupt the work of her mother. 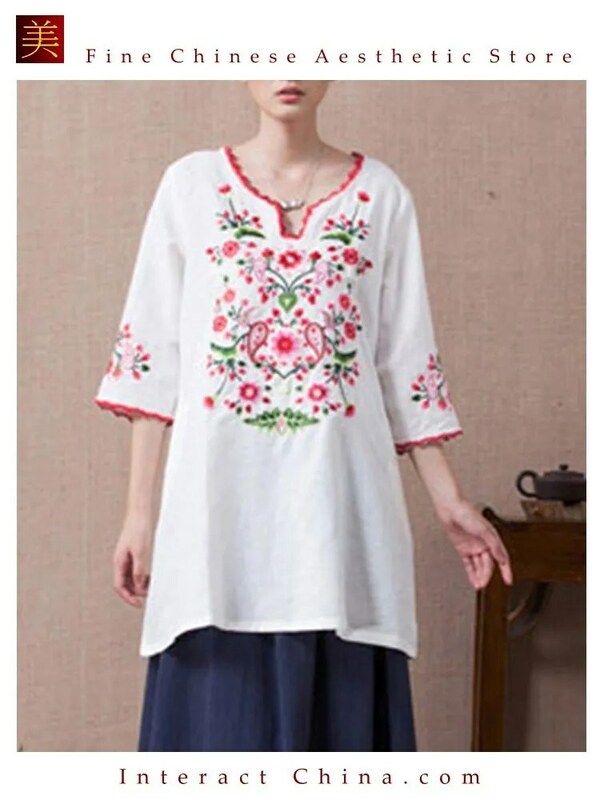 The Bai people believe that flowers are symbol of happiness and auspiciousness and hope girls are as pure and pretty as flowers, so many names are connected with flowers. 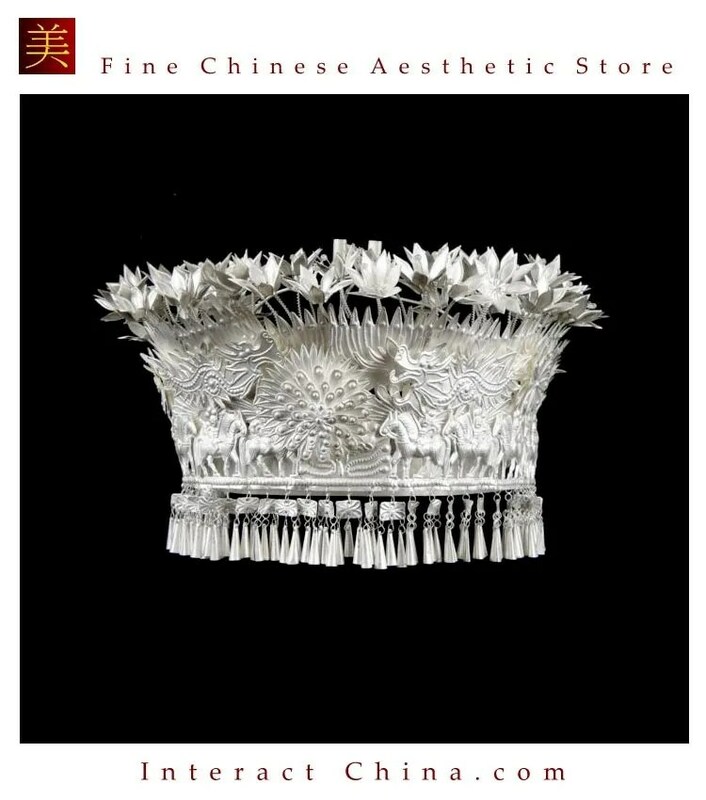 Jinhua (golden flower) means the girl is as precious as gold. 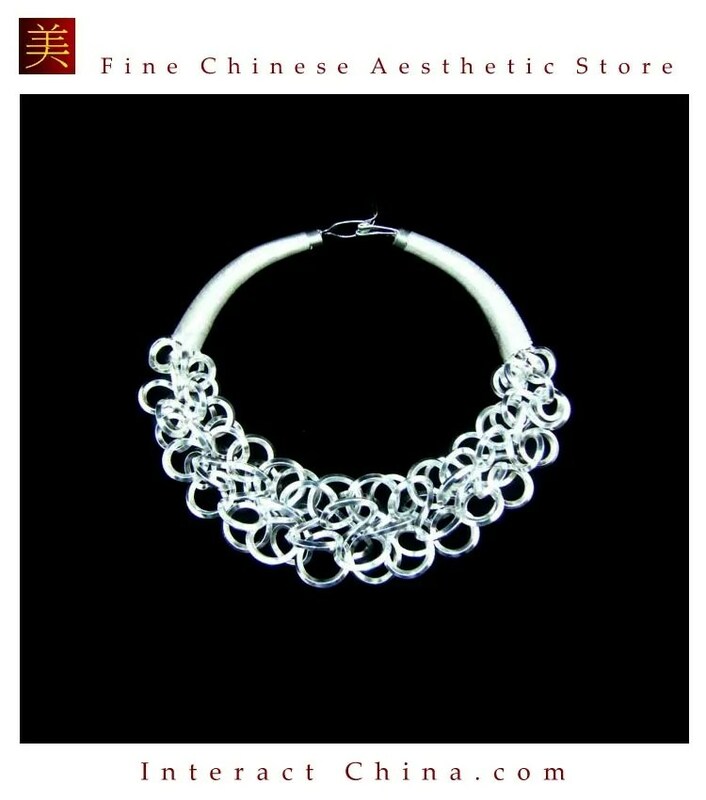 Today, the name Jinhua is recognized as a Bai name, because it has come to symbolize the good nature of Bai women. The life of Bai women is a struggle to create a life as beautiful as flowers. 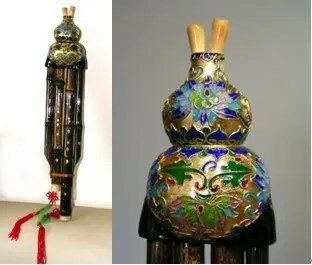 Bawu is a free reed musical instrument of China folk music. 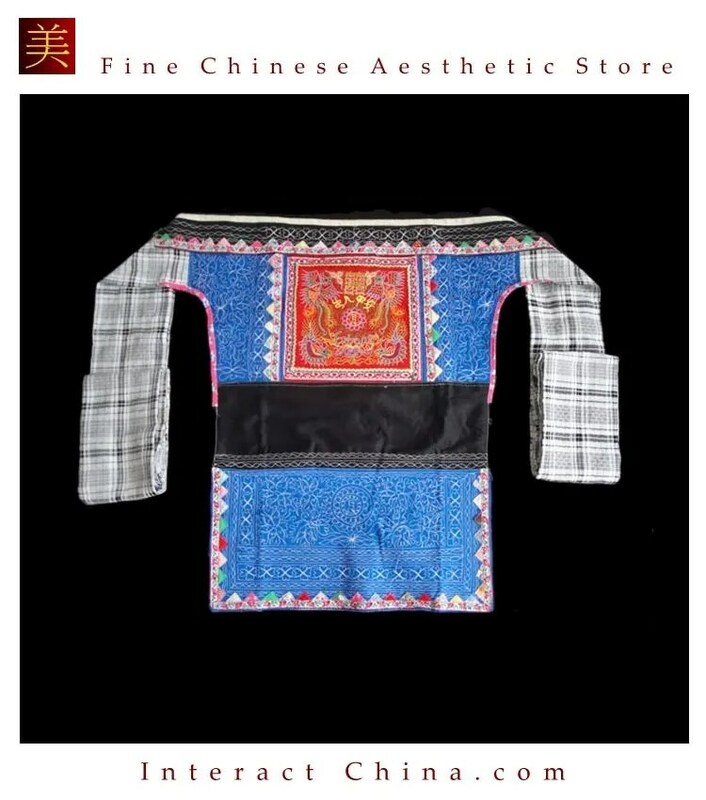 It is played by the Dai, Hani, Miao, Yi in southwest China. There is a beautiful legend about the origin of theBawu. Two young people from Hani tribe fell in love with each other. One day a demon grabbed the girl and separated these two lovers. Then the demon cut off the girl’s tongue and threw her into the mountains. The girl luckily survived. 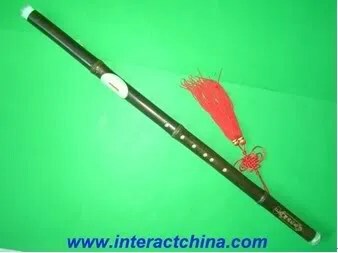 Following a bird’s advice that bamboo can talk, she made an instrument with bamboo and pouring out her misfortune through it. 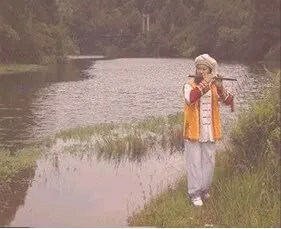 On hearing the sad melody from the bamboo the villagers came to kill the demon and saved the girl. She finally married her lover. 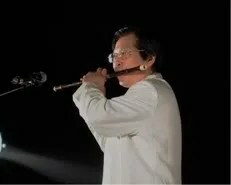 Since then Bawu became known as a talking instrument. 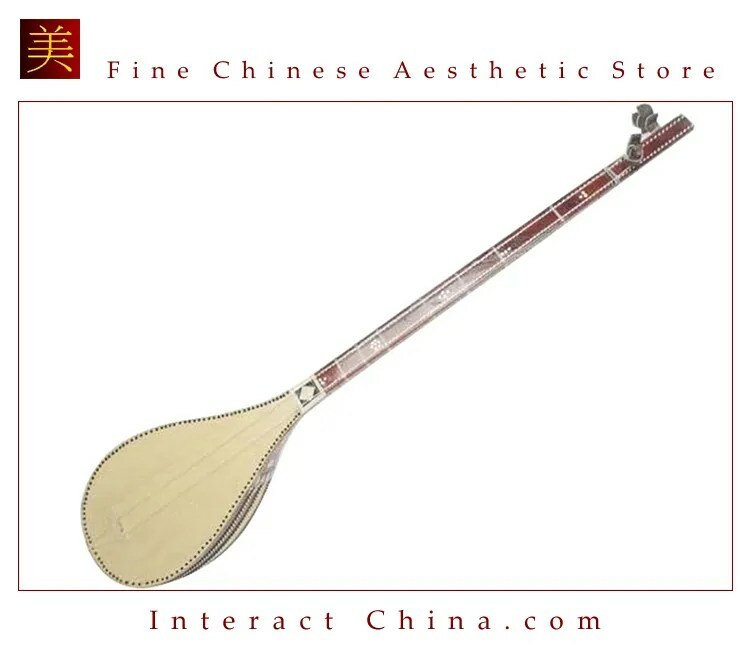 Although Bawu is originated from ethnic tribes of Southwest China, it has become a popular instrument throughout China. The rich and mellow tone of Bawu has become a favorite with composers of film soundtracks. 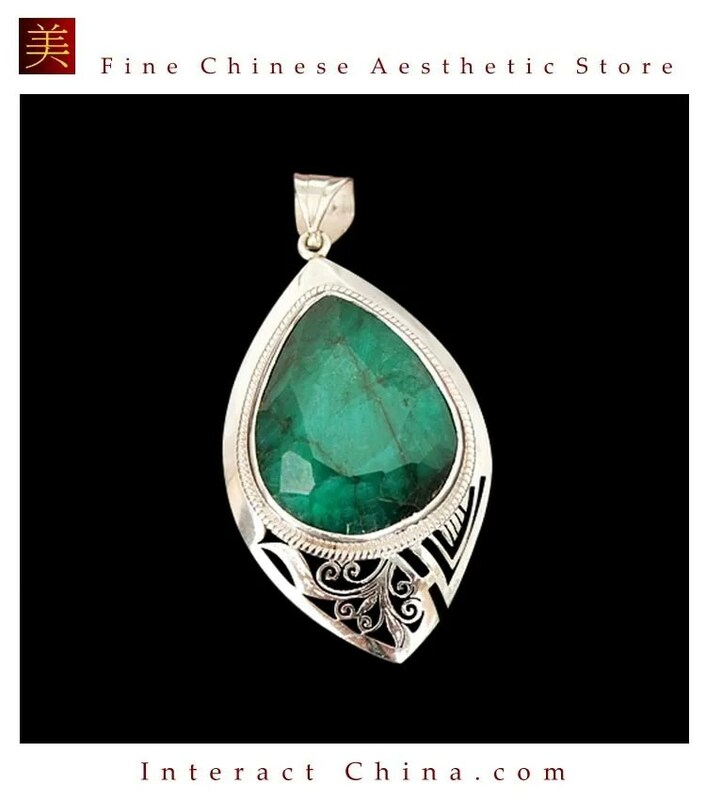 It is heavily featured in the film Crouching Tiger and Hidden Dragon , an Oscar Winner for Best Music. 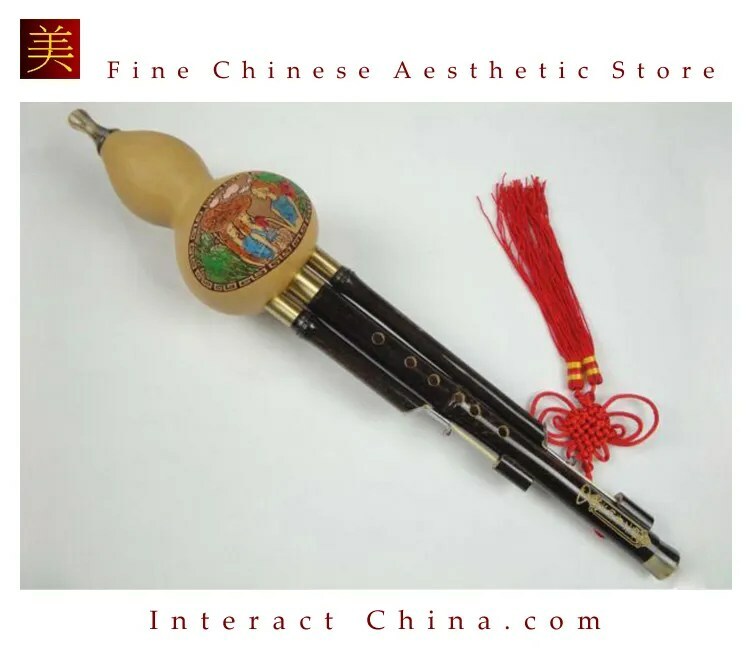 Many Chinese music ensembles now feature a Bawu. 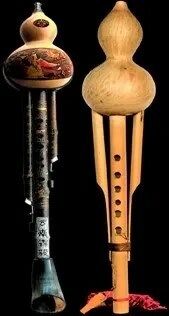 In recent years, Bawu crafters take this very traditional instrument into a new stage. 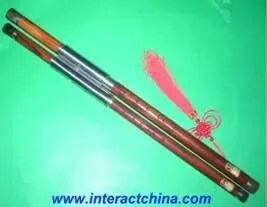 The newly designed Bawu are better with high quality copper reeds and mechanical keys. The new models can be vertically played and have dual pipes to extend the range of octaves. 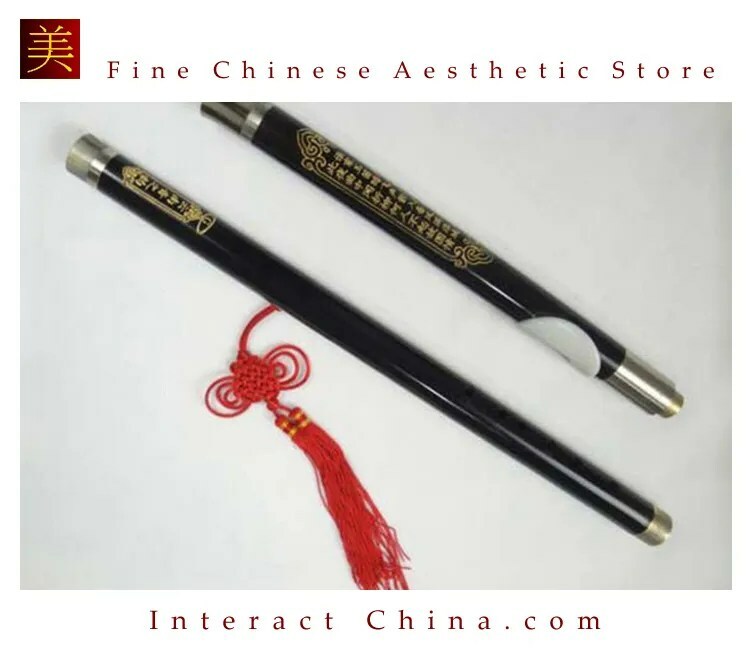 The materials are from traditional bamboo and upgrade to sandalwood and ebony. 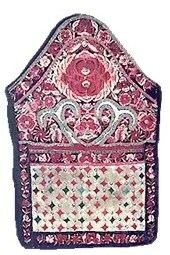 These improvements in materials and craft technique greatly enhance its popularity to music lovers.